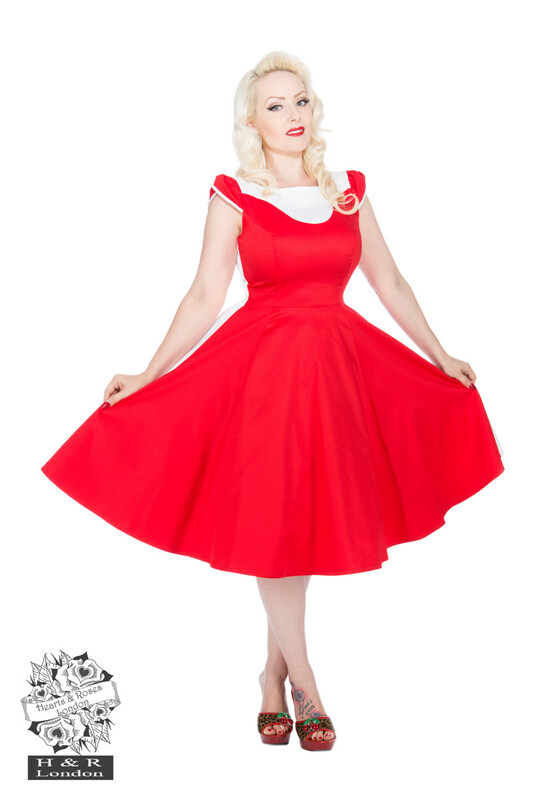 H &R Pageant Red White Penny Dress is a vibrant design fabricated on a stretchy cotton material. The front bodice is fitted and consists of a bright red fabric and a boat neckline in white. The back of the dress features a plain white background, giving you a beautiful contrast look with the two colours.